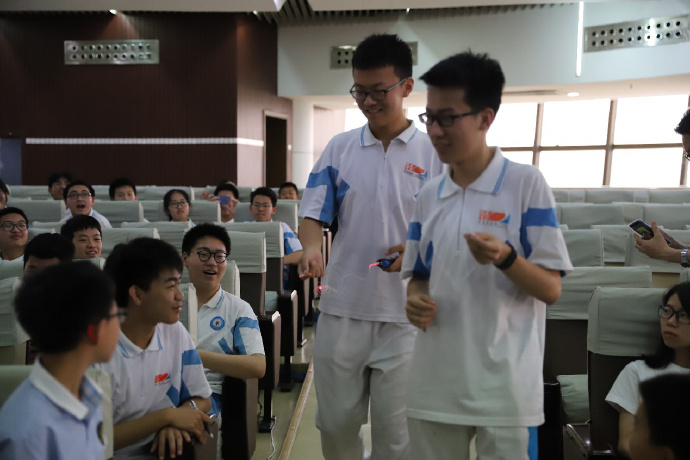 On May 16th and 19th, 2018, the OSA/SPIE Student Chapter of the Xi’an Institute of Optics and Precision Mechanics (the student Chapter) organized the “Lighting the future minds” series science activity to celebrate the International Light Day (ILD). 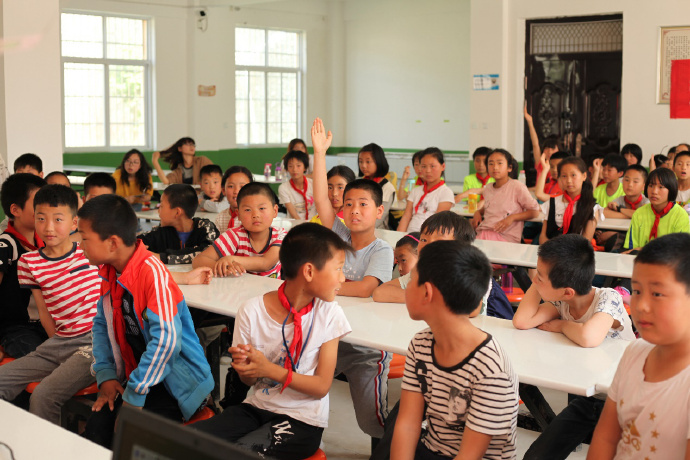 The activity attracted more than 300 teachers and students from Yongfeng Primary School in Jiufeng Town of Zhouzhi County, Xi’an City, Xi’an West Railway Fifth Primary School and Xi’an GAOXIN NO.1 High School. 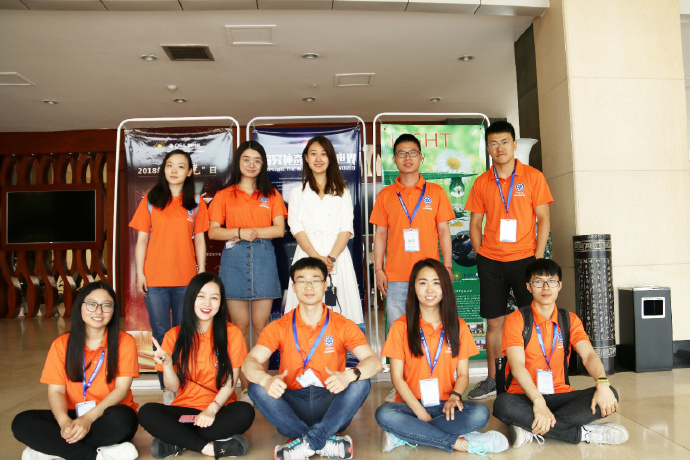 On May 16th, 7 members of the student Chapter went to Yongfeng Primary School in Jiufeng Town of Zhouzhi County to hold a science activity entitled “Knowledge Leads Dreams • Science Illuminates the Future”. The principal Tian and nearly a hundred teachers and students from grades 4 to 6 participated in the activity and celebrated the International Light Day altogether. Yongfeng Primary School is a small village located at the foot of the Qinling Mountains. When entering the school, there is a huge painting themed as “Be a Bright Man” on the east side of the wall. Compared to some urban schools, the teaching facilities are outdated and the multimedia reporting hall is unavailable. The science team firstly installed teaching equipment such as projectors and notebook computers that had been prepared in advance in the temporary reporting hall——Yongfeng Elementary School cafeteria. 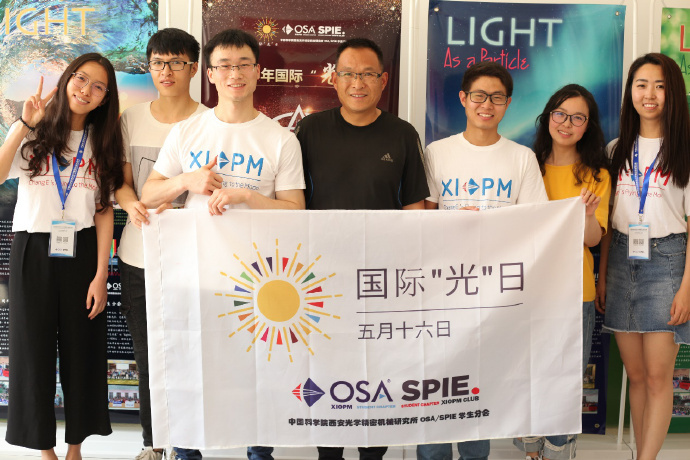 At the beginning, Principal Tian introduced the OSA science team to the attendees, and then Dr. Xingfeng Wang, a Ph.D candidate of the popular science team, introduced the basic conditions of the XIOPM and the International Light Day. Besides, he expressed the purpose of this activity which is disseminating science, stimulating students’ interests in optical science, expanding students’ breadth of knowledge about scientific cognition, and celebrating International Day of Light. 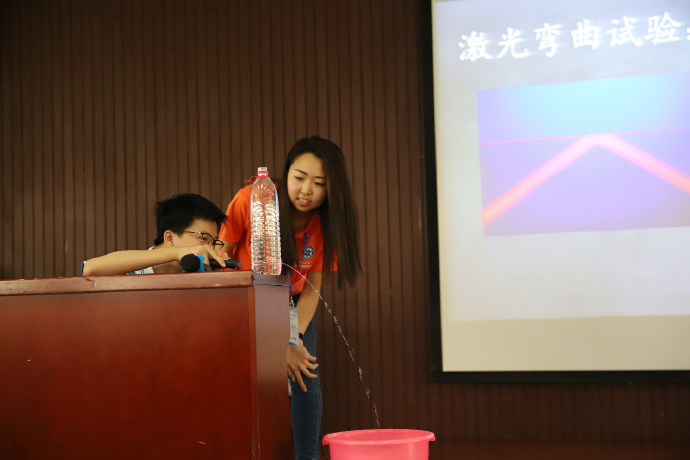 Ziyuan Zhong and Meiling Chen, the members of the science team, explained the science report entitled “color of light”, “laser and its transmission in optical fiber”, respectively. 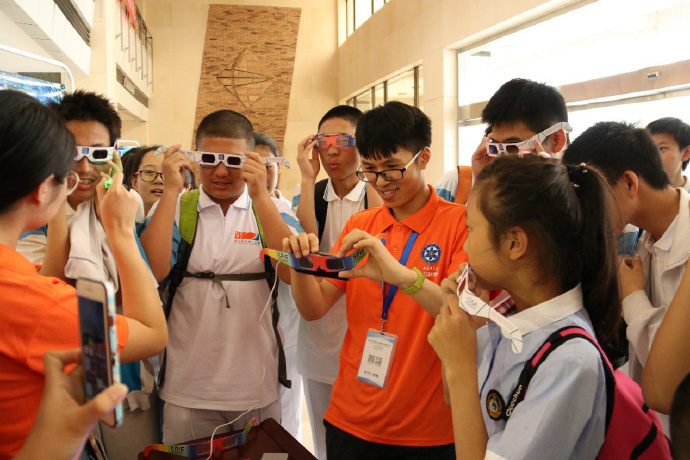 Students understand the light, laser and optical fiber better through the poster exhibition and animated simulation, in addition, they’ve learnt the application of science and technology in daily life. 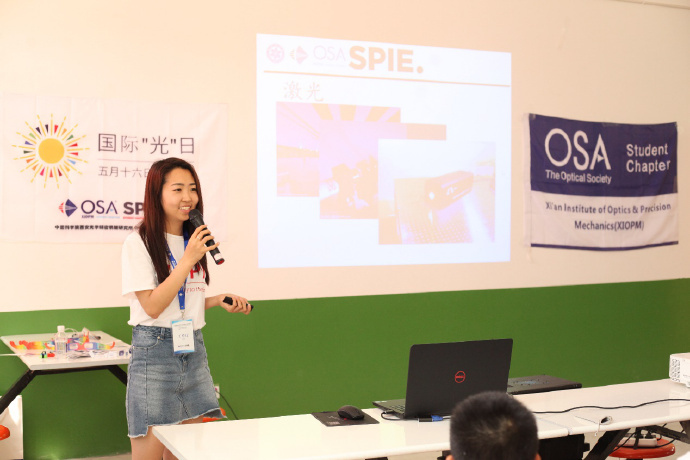 Through the live experience of diffracted glasses and laser transmission in optical fiber, students’ understanding of the colorful light and its transmission characteristics in different media are enhanced. These children actively participate in the zero-distance experience to feel the science charm themselves. 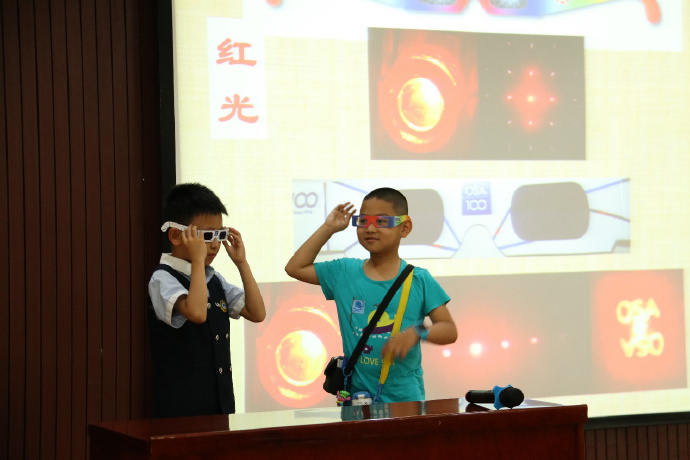 On May 19, the student chapter volunteered in the activity themed “exploring the magical optical world” — the 14th science public day of the Chinese Academy of Sciences (CAS). 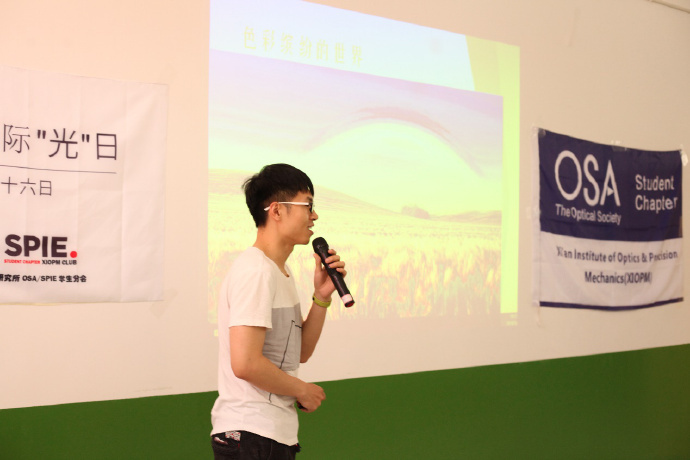 This activity is jointly sponsored by the Chinese academy of optical engineering, Xi’an branch of the CAS and XIOPM. More than 200 students and teachers from Xi’an railway No.5 primary school and Xi’an Gaoxin No.1 High School participated in the activity through online registration. 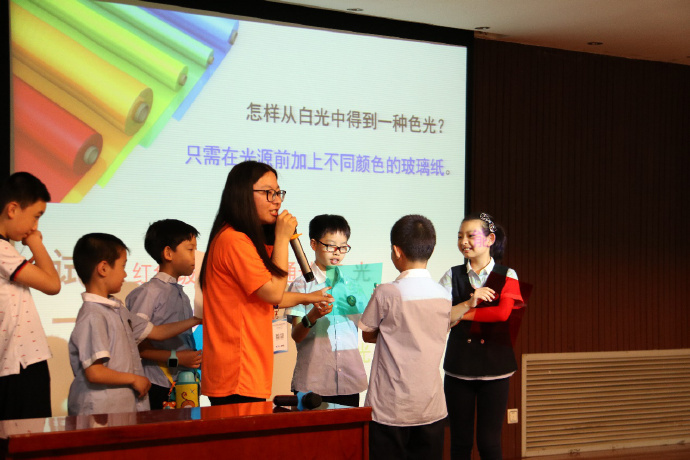 In this activity, several graduate students from the student chapter explained the natural phenomenon about light with easy and vivid language, such as “the light straight line dissemination”, “reflection and refraction of light”, “color of light”, “laser and optical fiber” and other related knowledge for the children. They direct the children to construct the interesting experiments to experience the wonderful fun light themselves. All of the students showed great interests in the course contents and raised their hands for questions, besides, they actively participated in the experiments with great enthusiasm. During the activity, the children and students enjoyed a lot about the magic light through learning and feeling in a relaxed and pleasant atmosphere. We were moved by the parent who came from far away from Xi’an. In order to help her child to feel the scientific charm, they arrived Xi’an by train one day in advance. She said: “we do not have scientific research institutes to teach science to children in Yun Cheng (a city in Shanxi province), and the children have not taken science classes in school, however, in the daily life, I pay close attention to the official accounts of Wechat of the CAS, where I learn the science and teach my child. Ordinarily, I always take my son to the science museum in Beijing, Shanghai and other places to cultivate children’s scientific thinking and creativity. This is what I value more.” Her words represents many parents’ demands. The “Lighting the Future Minds” science popularization activities conducted by the student chapter is now illuminating the light of science for young people, guiding and inspiring the majority of young people to approach to science and go into science. These activities are striving to encourage the majority of young people “to be a person with a bright eyes”!